Kyoto ranks among the world’s great cities. What other town can boast of 17 different World Heritage properties – and it could have been so many more! One only has to think of the places left out: Fushimi Inari, with its seductive tunnel of torii; Daitoku-ji, home to Zen and the making of tea; the Former Imperial Palace and detached villas, including the exquisite Katsura estate. To live in such surrounds is to be blessed indeed. I’m reminded of this every single morning as I open my curtains to gaze onto the great Dai of Daimonji and the thirty-six peaks of the Eastern Hills. I live next to one World Heritage site (Shimogamo Shrine), and I work next to another (Nishi Hongan-ji). From my writing desk I look up towards holy Mt. Hiei, ‘mother of Japanese Buddhism’. Culturally, one could hardly ask for more; it’s like living in a treasure box. 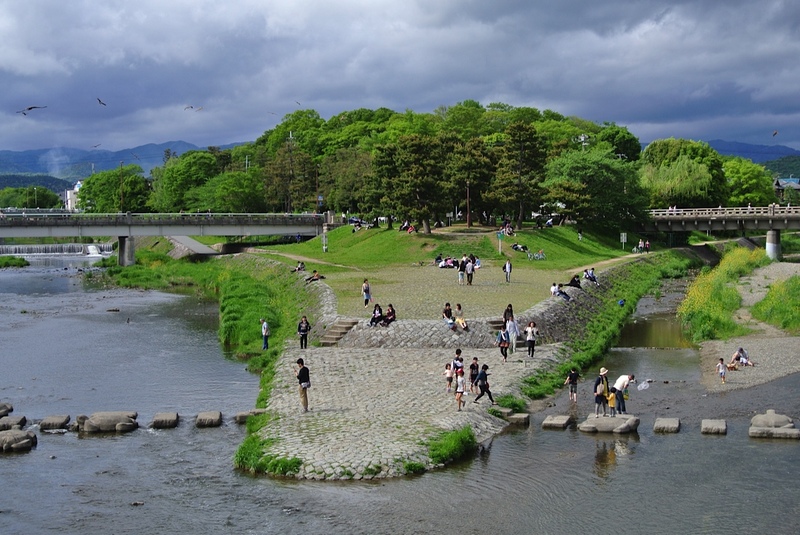 Yet for me, Kyoto wouldn’t be the city I love unless it were for the life-sustaining river that runs through its heart, forming a sliver of greenery and wildlife within the concrete city. I walk the river almost every day, for I live next to the lower reaches of the Takano where it merges with the Kamo to flow southwards towards Osaka. Most days I walk down to the Starbucks at Sanjō (Third Avenue) to set up office in the basement, but today I’m heading all the way down to Shichijō (Seventh Avenue), before turning west along the thoroughfare to my university. The walk offers ‘time out’ from the daily round of urban life, a place for solitary contemplation of the larger matters. Here the spirit swells and relaxes. Here the mind can think in centuries. Here immersed in the rus in urbe I lose myself in observation of the wild life and muse on the seasonal round. There are fish that flash silver in springtime, large funa that glide improbably in the shallow water, even the occasional carp let loose in the river water and looking lost. But this is not so much a river of fish, as of birds. Birds that swoop, scavenge and shriek in sheer delight at the oasis of water and greenery. Kamogawa translates as Duck River, and along with the duck varieties are pigeons, sparrows, cormorants, herons, wagtails, egrets, hawks, Siberian seagulls, crows galore, even the occasional kingfisher. These are my companions on my solitary walks. And the wonder is that you get all this while passing through downtown Kyoto. It’s almost miraculous. The things I’ve seen on these river banks. A trumpeter sounding the Last Post on one long blood-red sunset; the cherry blossom delight of merry picnickers stretching away into the northern hills; the sad, sorry sight of flooded cardboard boxes belonging to the homeless; hawks snatching rice balls out of the hands of the unsuspecting. Strangest of all, one January dusk I saw a group of people in the river immersed to their waists like frozen statues. A trick of the eyes? A joke? An art performance? No, it turned out to be a karate club performing winter austerity rites. Walking this river can be an education too. For it’s not just wildlife that enjoys this strip of water and greenery – it’s a vital playground for humans too. This is where people take time out to stretch and play, eat their bento or strip off to sunbathe. Old folks do gateball, youngsters play American Football. This is where musicals are rehearsed, Noh verses recited, tunes learnt, haiku composed, and dogs walked by dogged owners. Foreigners practice tai chi here, prompting children to tug at their parents in wonder, while TV crews add Kyoto glamour to their documentaries and celebrities pose for fashion magazines. For me personally, the pleasure of a city like Kyoto derives from the way physical space is enhanced by the patina of time. ‘No city or landscape is truly rich unless it has been given the quality of myth by writer, painter or by association with great events,’ wrote V.S. Naipaul. In this sense Kyoto is rich indeed, for every corner of every street is fraught with poetic or historic significance. Here passed a poet, here martyrs were sacrificed, and here stood the palace of a shogun. This walk along the river is thus about much more than physical movement. It’s about the passage through time and how the past has shaped the present. And there’s a personal dimension too, for the surrounds give me pause to reflect on the curiosity of my own life. Kyoto was founded in 794, and as it happened I first came here to live in 1994. For the city, the 1200th anniversary was a cause for celebration; for me, it marked the beginning of a whole new era. 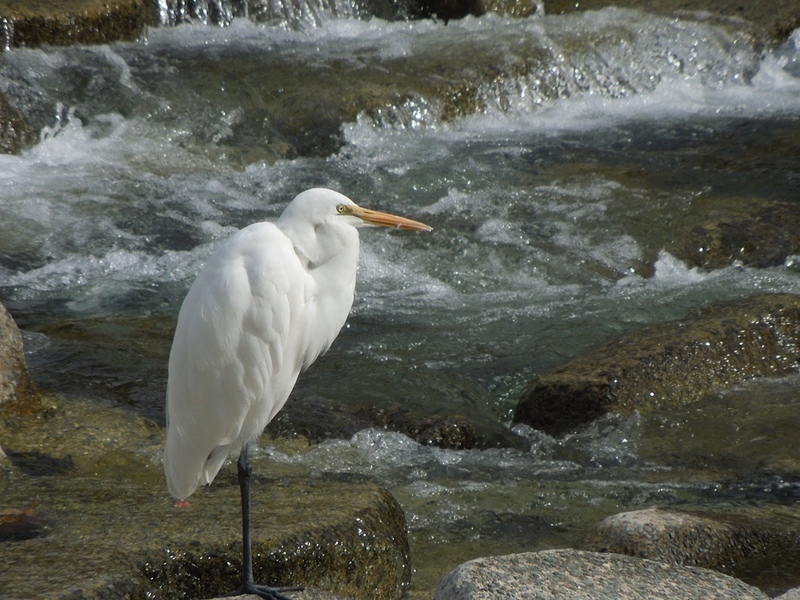 An egret rests on one-leg, determined not to stick its neck out. Text and photographs by John Dougill. 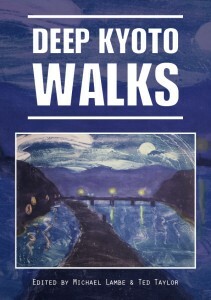 To read the rest of John Dougill’s Kamogawa Musing, download Deep Kyoto: Walks here: LINK. John Dougill is the author of Kyoto: A Cultural History , Japan’s World Heritage Sites and In Search of Japan’s Hidden Christians . He also keeps a blog, Green Shinto (www.greenshinto.com). 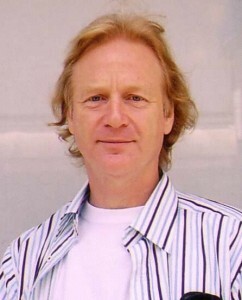 Born in the UK to a Czech mother and a Yorkshire Viking, he studied Russian and Slavic Studies at university. However, a lust for wandering took him to the Middle East, where he married a Yemeni, before travelling around the world for a year. He set up house in Oxford, but fate intervened to send him to Kanazawa where he was a lone gaijin on the backside of Japan, dreaming of one day teaching in Kyoto. Now he has to pinch himself every morning as he looks up from his bed at Daimonji. When not playing chess, writing haiku or walking along the Kamogawa, he works as professor of Cultural Studies at Ryukoku University.